Makeup reviews have been quite scarce around these parts lately. I'm on a journey of blogging discovery and have wandered down some different roads lately. It's good to get back into the ol' swing of things with a nice, classic beauty review. So let's dig in shall we? 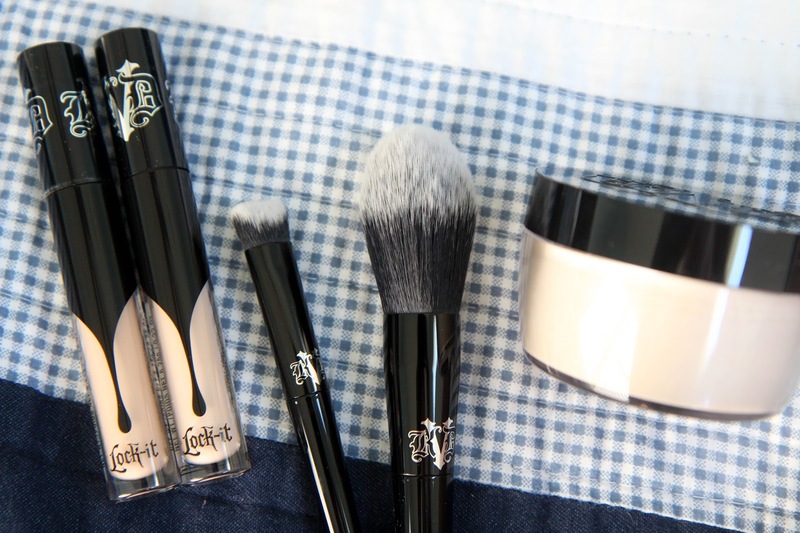 Kat Von D recently released a new Lock-it Collection that I'm still doing a slow clap for. 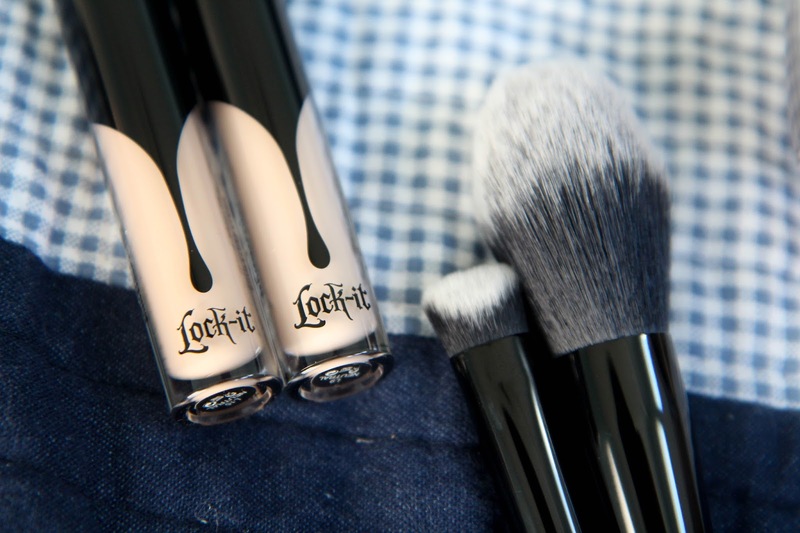 The shining achievement of the line has to be the concealer, but the whole collection is fab. The concealer is a cross between the Urban Decay Naked Concealer and the NARS Creamy Concealer while being thicker and slightly drier, in a good way. It covers up my always obvious under eye circles like a champ. The Edge Concealer Brush had my skeptical at first as it's such an odd shape and incredibly dense, but it's fantastic at getting into the tight eye areas to blend everything out surprisingly well. I'm still on the hunt for a setting powder after literally years of just not finding one I'm happy with. 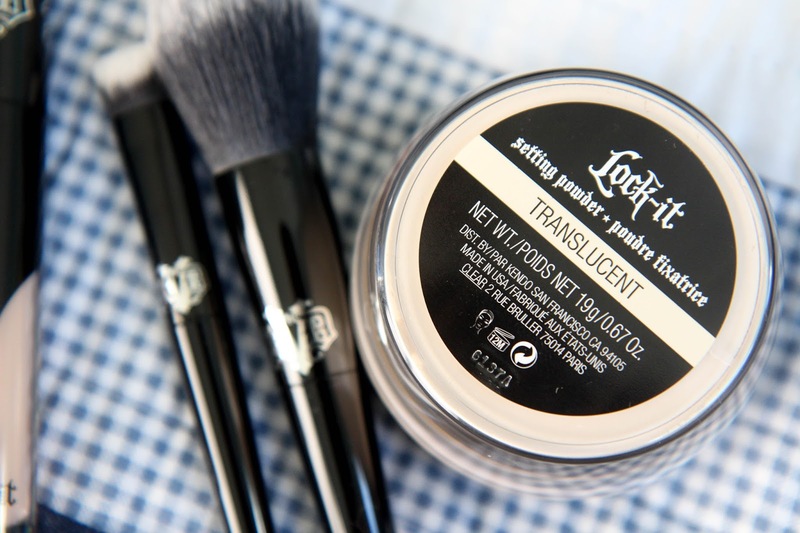 I'm still on the fence about this setting powder even though the yellow, tan color tone is a much better option than all the white ones I've tried in the past. 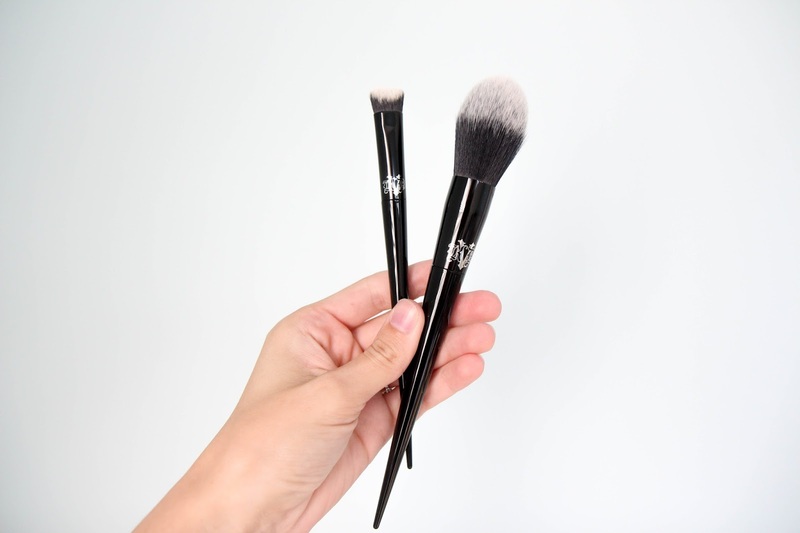 The real winner in this duo is the Powder Brush makes it so easy to apply just the right amount of product. Maybe that was my problem! I didn't have the right tool to not pile on the product. So although I still have to test out the powder some more, the brush is a sure winner. Kat Von D has been seriously surprising my lately with quality products so I'm eager to keep poking around the brand! *Influenster sent me these products for testing purposes.